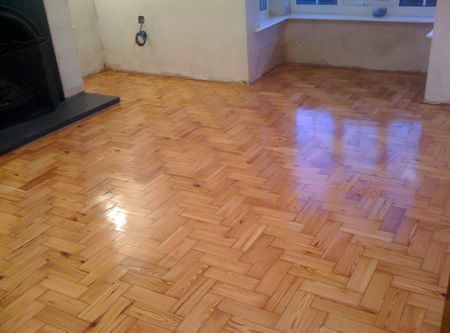 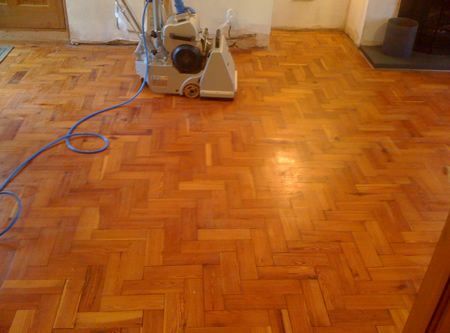 The Pitch Pine Parquet Block Floor laid diagonally in the 24m2 living room was not in the best condition, and the clients brief was to give the floor the 'full treatment' making the floor look its best once again. 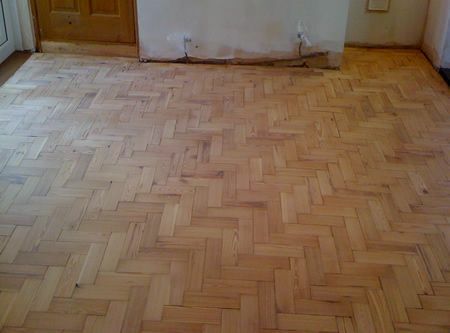 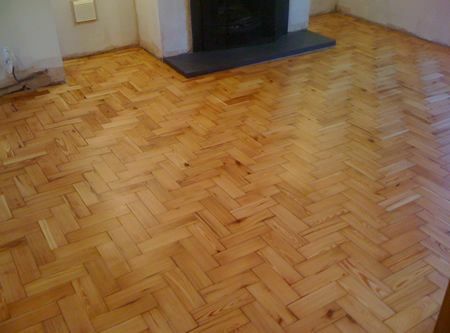 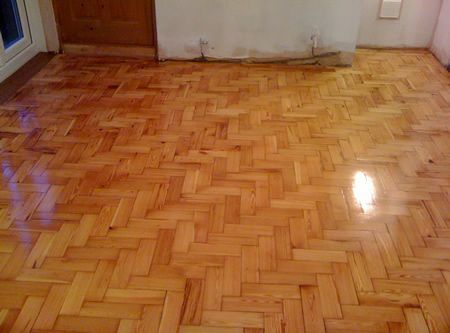 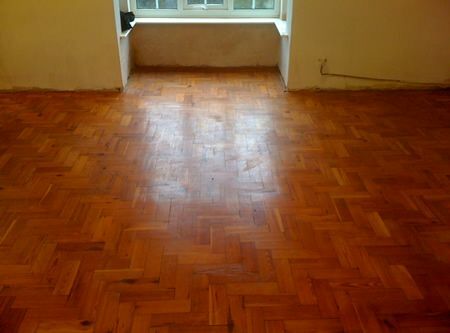 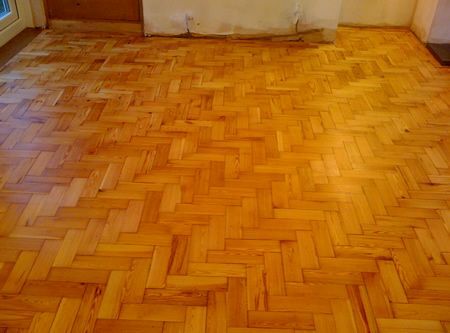 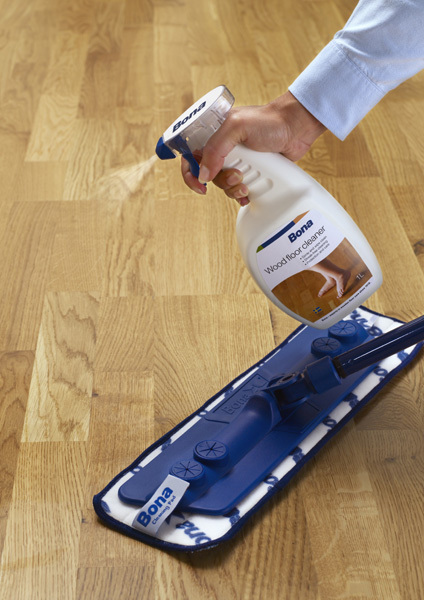 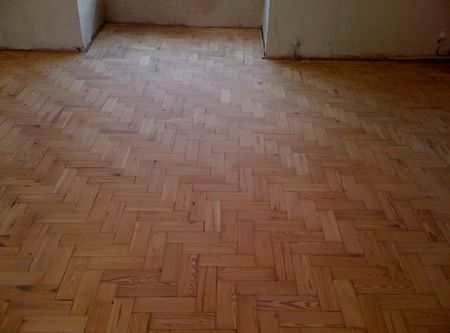 Anyone who has sanded a Pitch Pine Parquet Block floor knows that technically it is more difficult and time consuming to properly prepare than for example an equivalent Oak Parquet Block Floor. 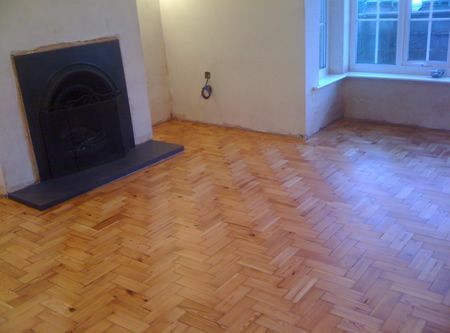 The floor also had a 'hump' near the fireplace so that area needed a lot more care and attention, but thankfully sanded up nicely. 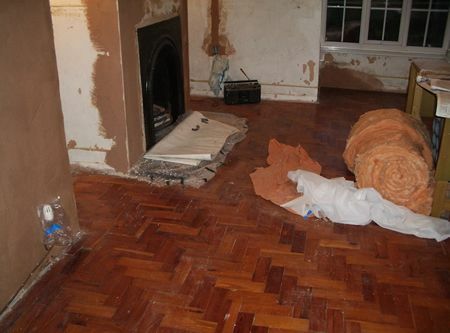 There were also many swirl marks and small gauges left from the previous owners attempt at Floor Sanding. 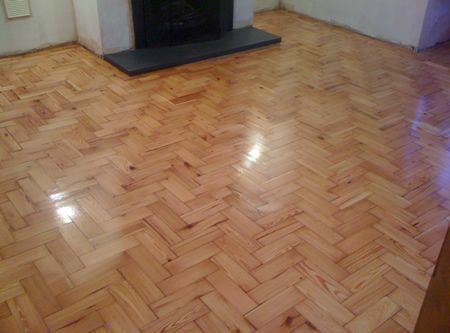 These marks were all removed and now the Real Wood Floor looks as it should, a beautiful living space which will give Mr & Mrs Pritchard many years of service.